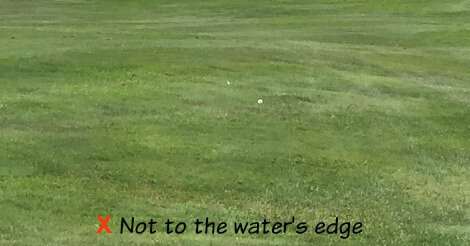 Less lawn, more native landscaping for our lakes—on today's CurrentCast. You might like the look of a clean-cut lawn, but if you have lake front property, experts say not to mow all the way to the shoreline..
Rozumalski: The most important thing you can do for your lake is to create a buffer zone, and this is a patch of native plants along the lakeshore . That's landscape architect Fred Rozumalski. He says even modest buffers can trap pollutants such as fertilizers and loose soils before they reach a lake. So preserving them is more important than ever as we brace for the wild weather coming our way. Plants must be ordered by May 19 and picked up June 3rd. Details on when and where in this Eastern Georgian Bay Stewardship Council PDF link. Find the plant order form here. Georgian Bay Forever is working with communities and partners to help stop invasive Phragmites from taking over Georgian Bay's coastal wetlands. These plants grow into monocultures which threaten biodiversity and hurt wetland function. 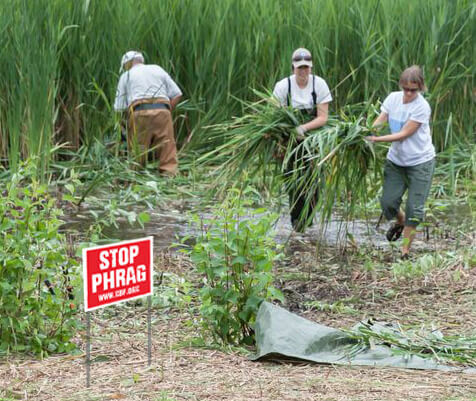 To find out more about invasive Phragmites and community Phragbusting, please read on.